McDonald’s USA has given US$50,000 to the students who hung a fake poster in one of their locations in Texas to be part of the fast food giant’s upcoming marketing campaign. NBC News details how the simple prank became a widespread call for Asian representation in mainstream advertising and entertainment. Read more here. In a rare occurrence, Chick-fil-A opened its North Carolina site on a Sunday to help out victims of Hurricane Florence. ABC7 News reported that the staff worked with Red Cross to donate 500 sandwiches and 1,200 nuggets in three evacuation centers. Read more here. Taco Bell is bringing National Taco Day to their international outlets. The taco chain will be bringing back its US$5 National Taco Day Gift Set to more than 20 countries following its launch in the U.S. on October 4. Read more here. Pizza Hut celebrated National Pepperoni Pizza Day by offering customers US$1 medium pizza after purchasing a medium or large pizza, USA Today reported. Read more here. Dunkin’ Donuts and Krispy Kreme, meanwhile are celebrating National Coffee Day on September 29. Dunkin’ has announced a buy-1-take-1 offer on all of their hot coffee beverages while Krispy Kreme will be giving away free coffee in any size with no additional purchases. 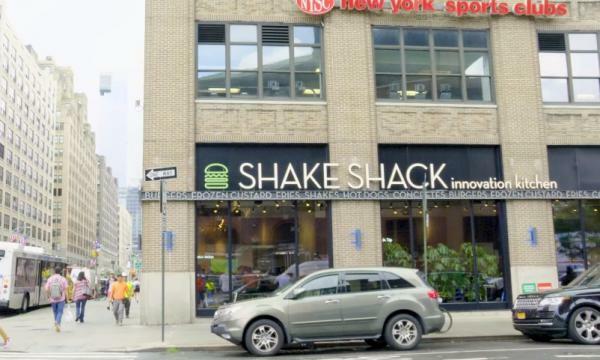 Shake Shack USA has launched their new outlet in West Village, New York last September 18 that comes with their innovation kitchen, where they test food items that may become a permanent offering once it has received positive comments from their customers. Read more here.